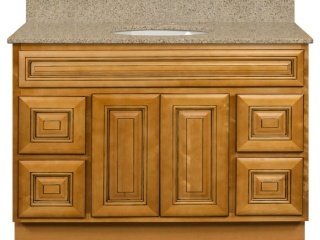 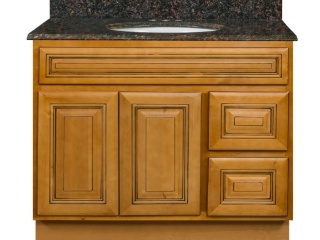 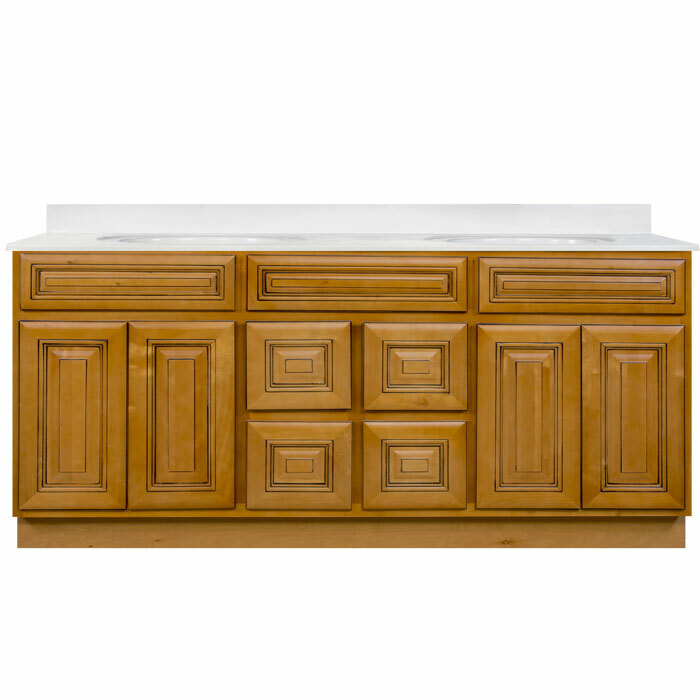 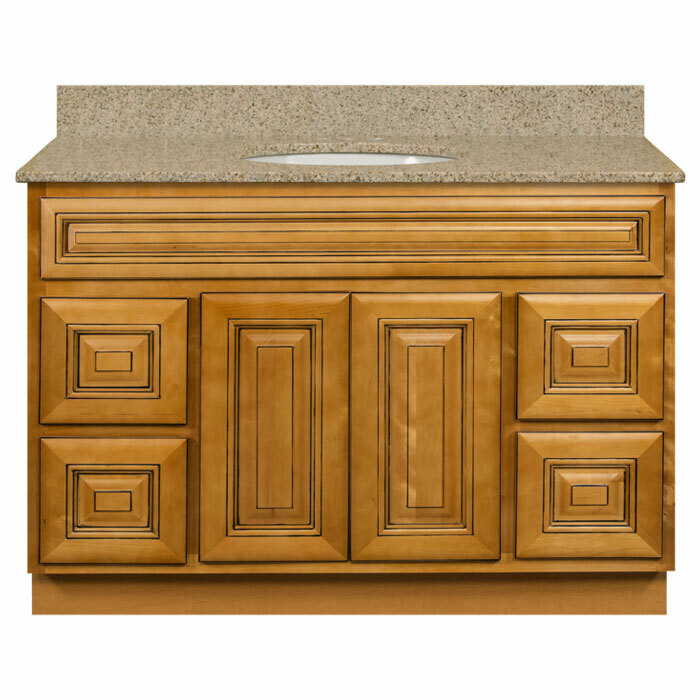 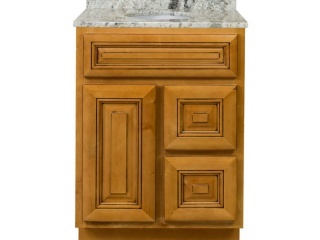 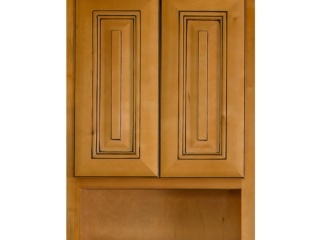 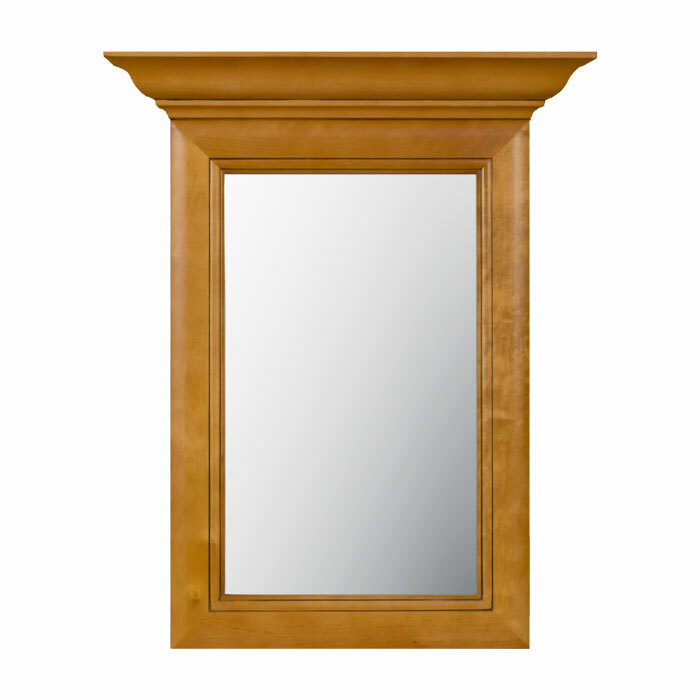 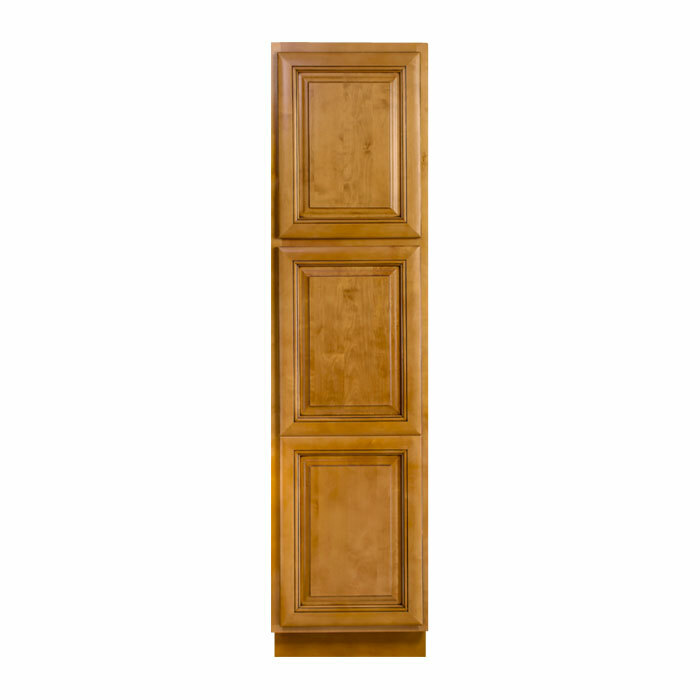 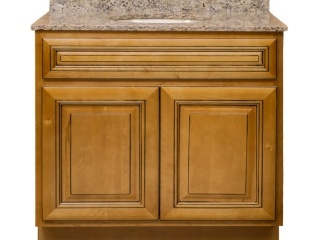 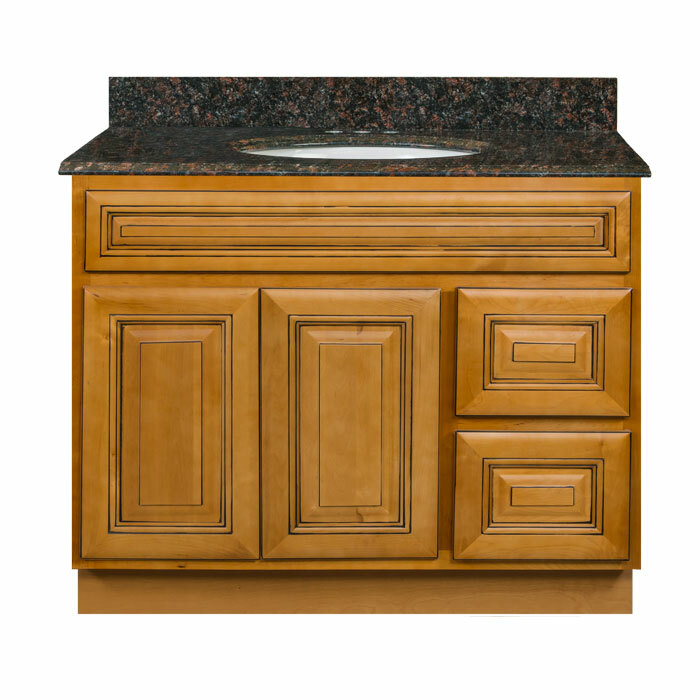 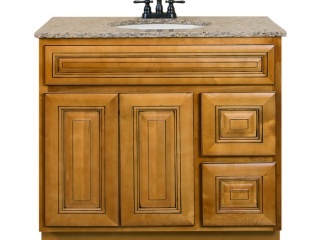 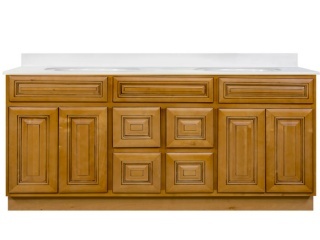 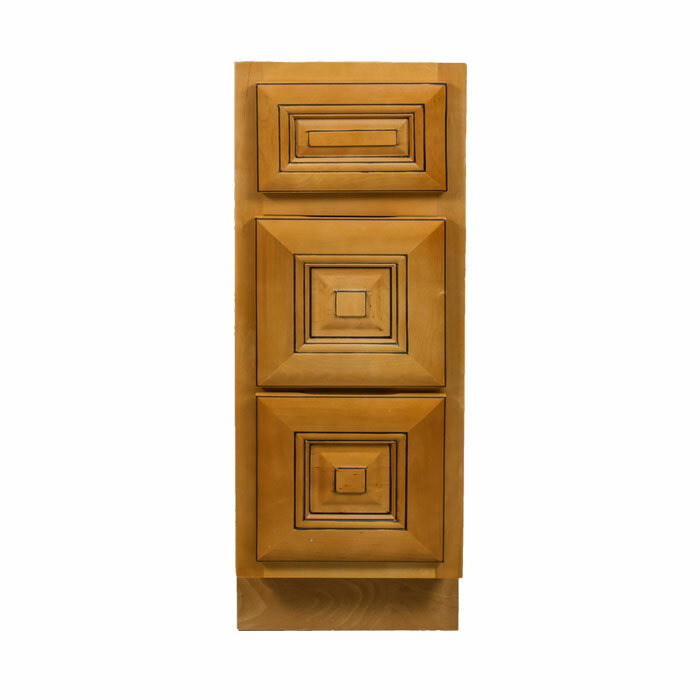 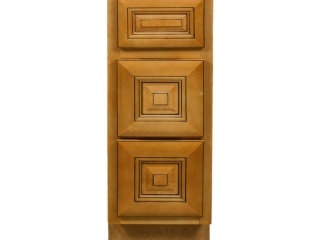 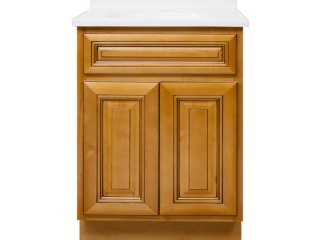 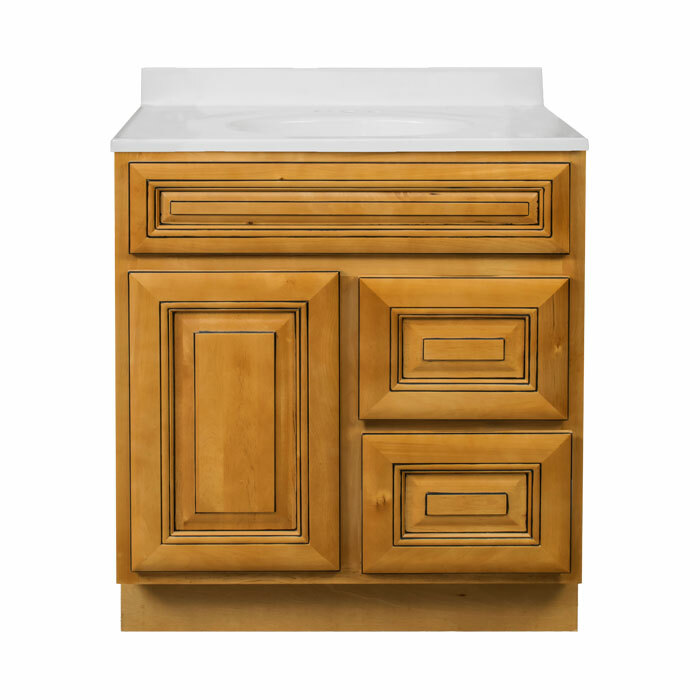 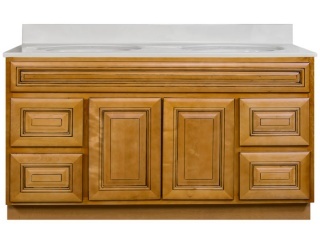 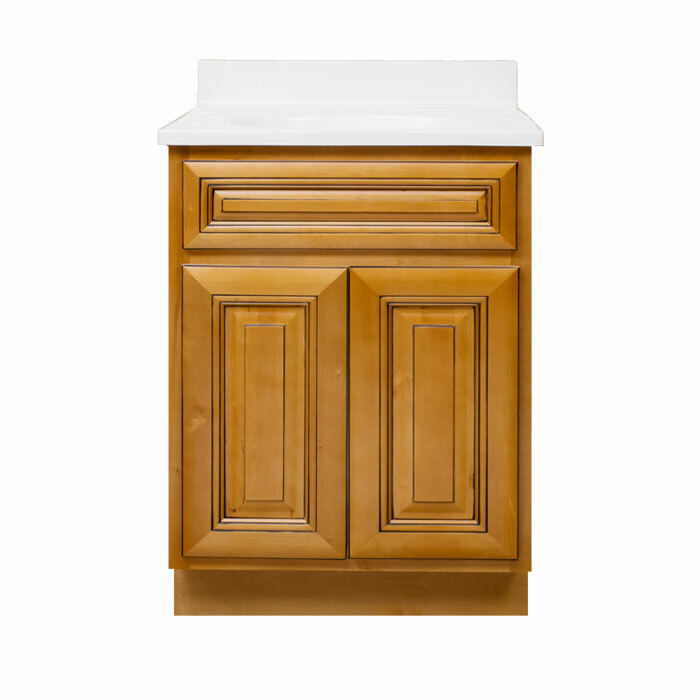 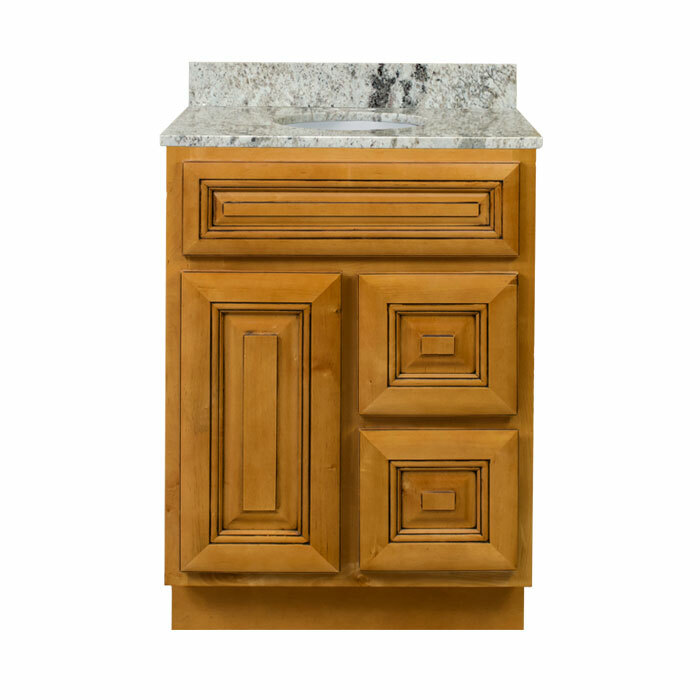 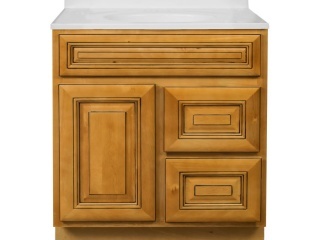 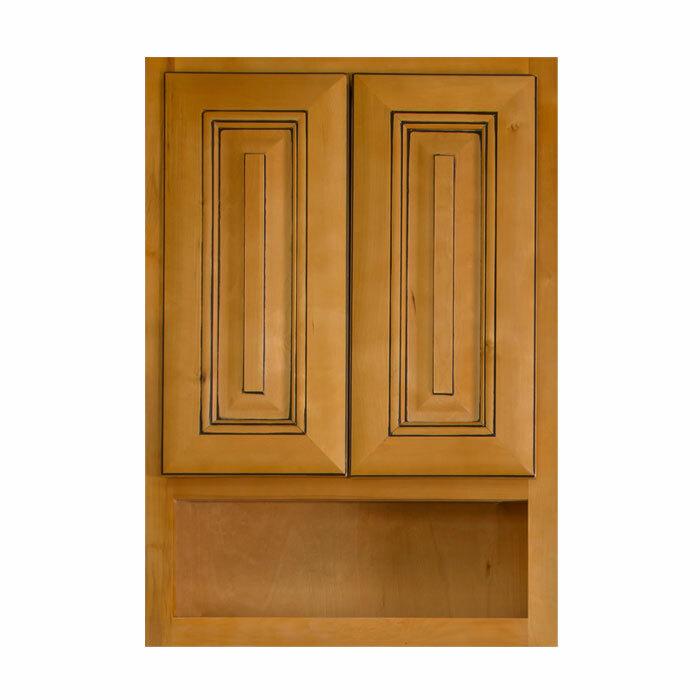 Rustic and traditional, our Savannah Harvest Glaze bathroom cabinet vanities feature a warm, golden finish. 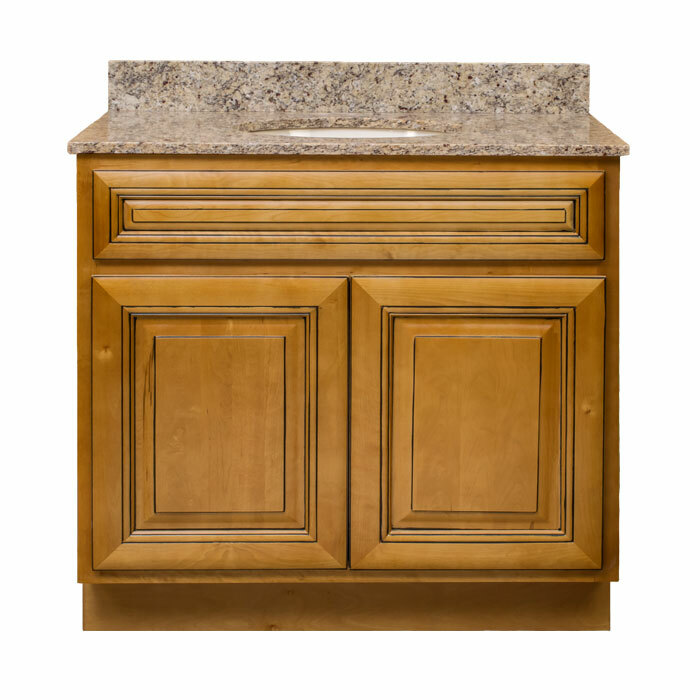 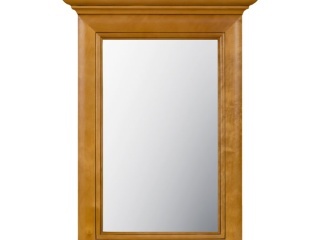 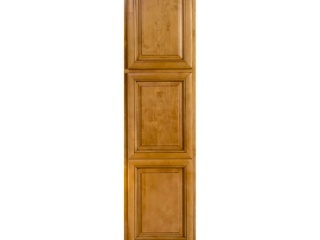 Built with solid wood face frames and doors, miter door joints, and dovetail drawer boxes for lasting durability. 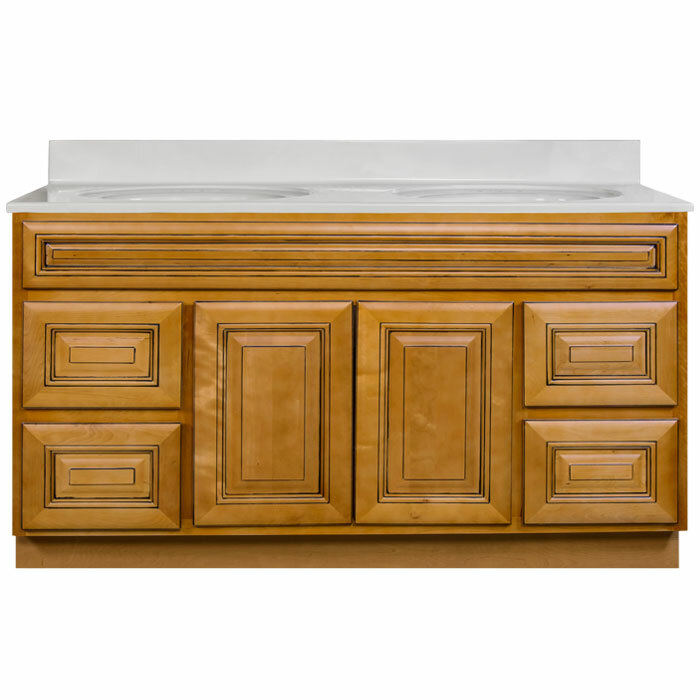 Vanities also feature standard overlay raised panel doors, full-extension drawer glides, and concealed adjustable hinges. 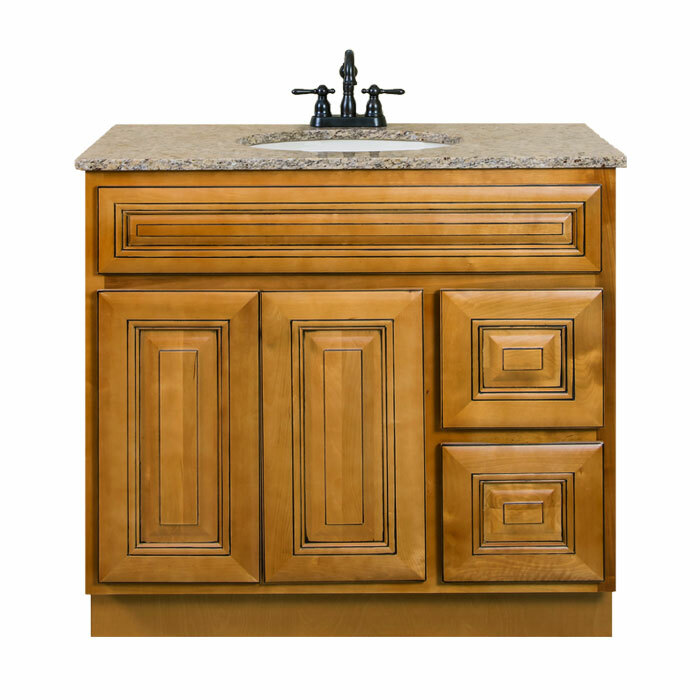 Our Savannah Harvest Glaze Vanity Collection includes the items listed below.